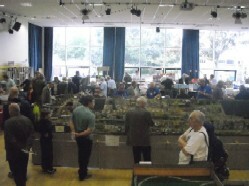 The Ilford & West Essex Model Railway Club was formed in 1930 and is one of the oldest model railway clubs in the UK - only a handful of clubs such as The Model Railway Club and the Wimbledon Model Railway Club and the Manchester Model Railway Society are known to have a longer history. 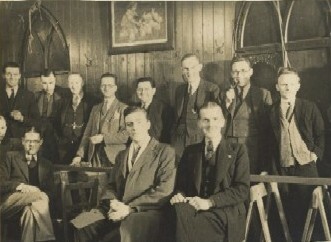 It all began back in 1930, when a young gentleman by the name of Ronnie Riddle (front right) advertised for like-minded railway modellers to attend a meeting in Ilford. The response was encouraging and the seeds of the Ilford & District Model Railway Club were sown. 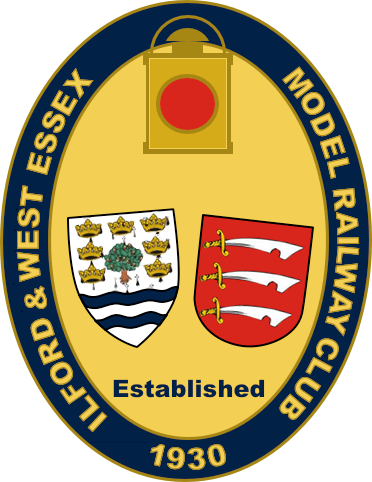 Then, in February 1935, the West Essex Model Railway club (which had formed three years earlier) and the Ilford & District were amalgamated to form Ilford & West Essex Model Railway Club. Ronnie Riddle was the club's founding Secretary and became Life President, enabling his later years to be the most enjoyable as the club continued to grow in strength. After the war the club established its headquarters in Hearne Road, Romford. Then in the mid-1950's a site was found adjacent to Chadwell Heath Railway Station, which to this day provides the club with its headquarters. 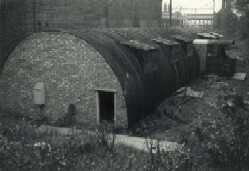 The first incarnation of the club house back in the mid-1950's was two Nissen huts with an LNER E4 cab as an entrance. 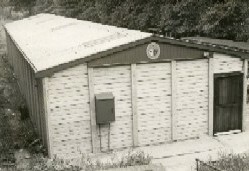 Then in 1966 a pre-cast concrete building replaced the Nissen huts. The club exhibition in those days was a four-day affair held at Ilford Town Hall, with nearly 10,000 enthusiasts attending at its peak. Unfortunately, as the number of clubs and events has grown it has not been possible to repeat these numbers. In 2020 the club will be celebrating our 90th anniversary and our annual event WEST ESSEX MODELRAIL will be centred on this occasion. Plans are being formulated to make this a showstopper given its significance. Also we are currently upgrading our 7¼ gauge railway and have already started the track upgrade and a rebuild of our resident steam locomotive 'Excalibur'. We are hopeful that this will be completed in time for our 2019 season of Open Days. We also have plans to upgrade and lengthen the Carriage Shed.